The father of a young man charged with terrorism testified during his son’s trial Monday that his son was brainwashed and manipulated by the FBI, the Associated Press reports. 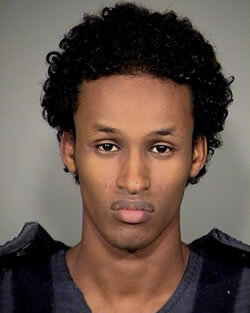 Osma Barre, the father of Oregon terrorism suspect Mohamed Mohamud, was the first witness for a defense that plans to portray Mohamud as an impressionable, troubled teenager caught up in an overzealous FBI operation, the AP wrote. Prosecutors allege Mohamud was an extremist bent on killing people. He’s accused of attempting to detonate a bomb what turned out to be a phony bomb during a Christmas-tree lighting ceremony in 2010. Posted: 1/29/13 at 8:24 AM under FBI, News Story.